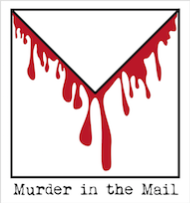 What is "Murder in the Mail"? Murder in the Mail is a storytelling system that uses letters, objects, and artworks to tell a story—in fact, you become a character in that story as you try to solve a murder before it's too late. It's a cousin to other forms of interactive fiction. "A Bloody Birthday" will run for eight weeks, and you will receive at least one package per week until the murderer is discovered and the story ends. Author of the Antipodean Queen magical steampunk trilogy, and the Heest magical pirate trilogy for tweens (both published by OdysseyBooks.com), plus an increasing list of interactive fiction (listed at ifdb.tads.org).